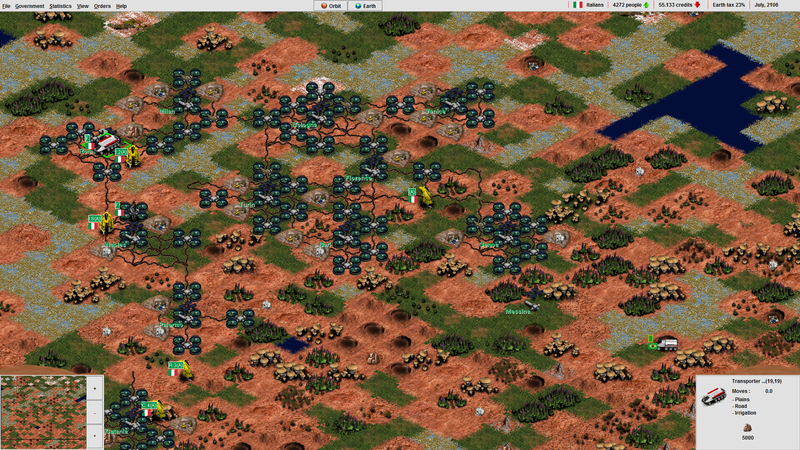 Turn based strategy game about colonizing Mars. Version 0.8.7.2 (September 2, 2017) ----- * Save / Load dialogs customized to display info on save file contents. Delete button added to dialogs. * Earth dialog info text updated. 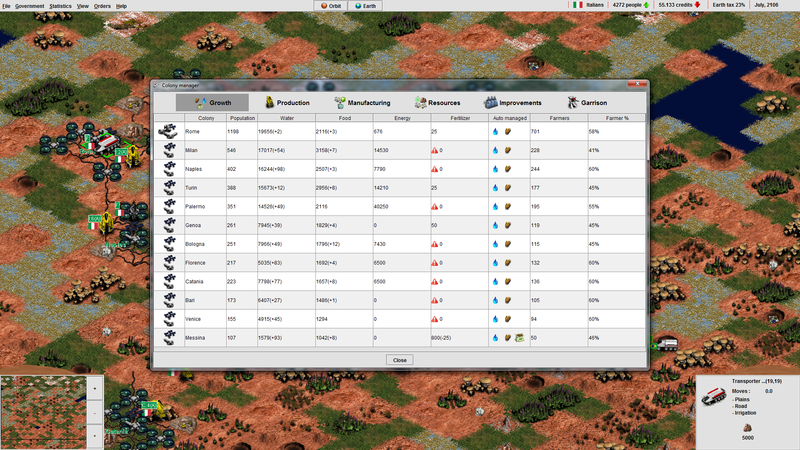 * Demographics dialog resized. * Unit movement animation bugs fixed. * Earth economy updated. * Italian sell price bonus reduced to %5 from %10. * Spaceship debris collection bug fixed. 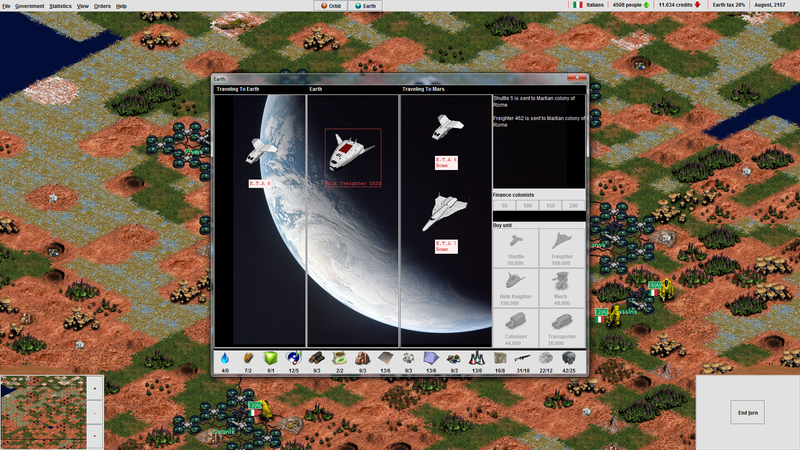 * Export resource mission updated to allow multiple resources. 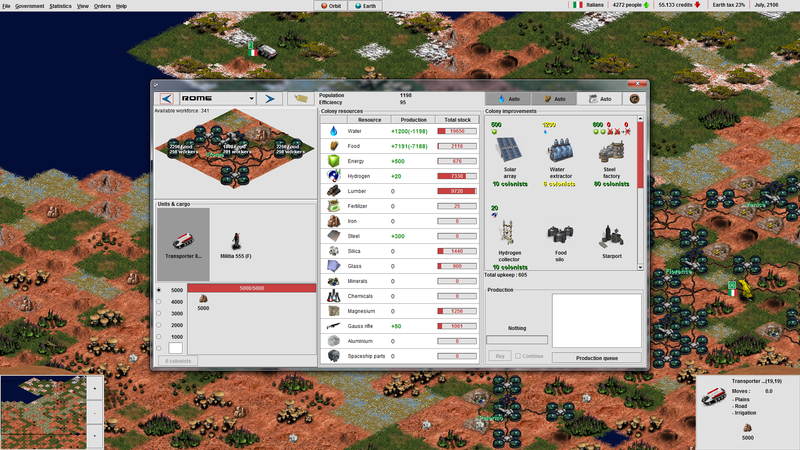 - Iron, Silica or Minerals can be exported to complete mission. - Target quantities updated to 10000, 20000 and 30000 * Spaceship debris image updated. * Meteor fall random event added. This random event distributes valuable elements around a random coordinate. * A small road image is painted even if tile has no adjacent tiles having roads. * Display player command status bug fixed. * Console is opened with " (double quote) character. 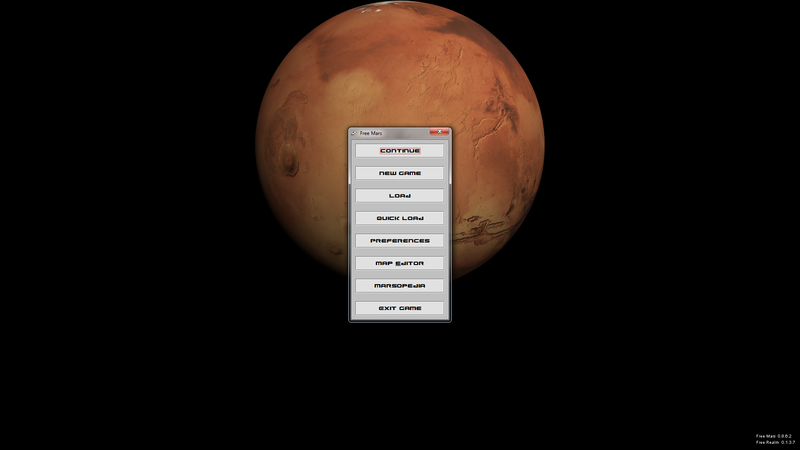 * Following console commands added: add, bye, clear, close, cls, disp, display, earth, exit, explore, help, pop, population, quit, remove, rm, setturn, wealth * Audio player fixed. 1,248 4,945 Free Mars Team <img src="https://www.oldergeeks.com/downloads/gallery/thumbs/Free Mars6_th.png"border="0"> Feb 12, 2019 - 12:20 0.8.7.2 14.57MB RAR , out of 26 Votes.